​This season has been an absolute disaster for the New York Mets. Not only did they lose by three touchdowns to the Nationals a few games ago, former pitcher Matt Harvey perfectly trolled them in his return and now they're getting even more shade thrown at them from a former rival player. That player would be former Washington Nationals and Philadelphia Phillies outfielder Jayson Werth. Werth didn't plan on retiring at the end of last season, spending 36 games in the Seattle Mariners Triple-A affiliate this year before officially calling it quits. He also spent time making phone calls to 31 teams to see if they had a roster spot for him. The one team he didn't call? The Mets. "I had offers in November and I was advised by my former agent to wait. 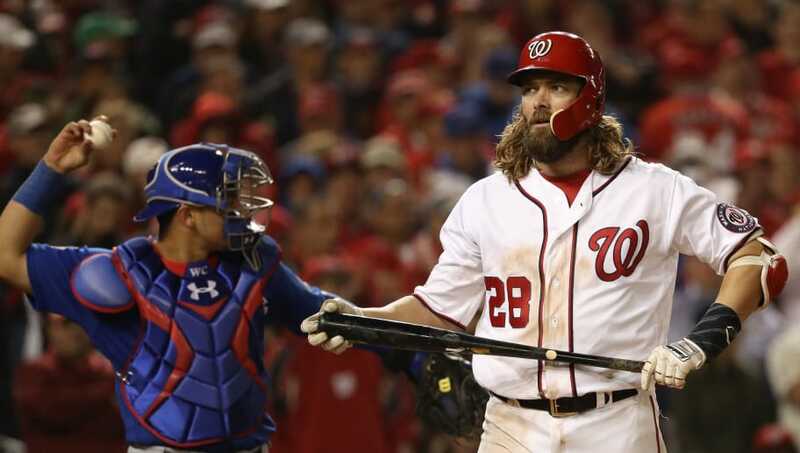 Ill-advised, I guess," said Werth on Howard Eskin's podcast Tuesday. "Spring training came and went and by about halfway through spring training, I felt like I should -- I trained all winter, I was ready for spring training -- so I took matters into my own hands. I called every team -- you'll love this one -- I called every team but one to try and get a job. The team I didn't call? The Mets. I wouldn't play for them." You can check out the podcast above. If I were a Mets fan, part of the team or the front office, I would be absolutely embarrassed right now. You have a guy desperate for a job and he won't even call you. ​That's how bad your franchise is. This is just another sad moment in an ​absolutely embarrassing season for the New York Mets.